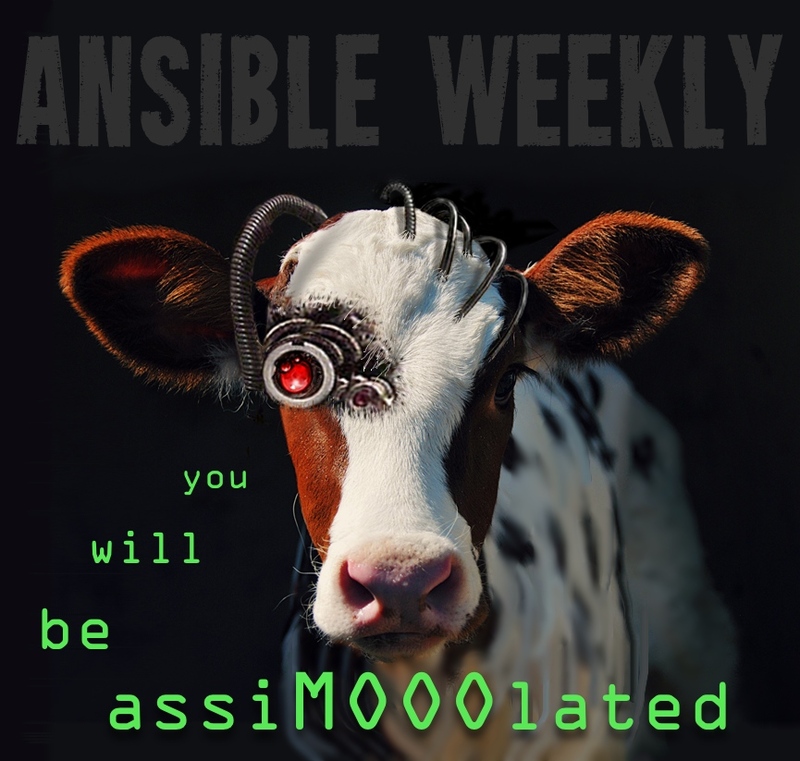 Ansible Weekly just had its 1-year anniversary! That's about 260 man hours this year! It's been a great side-project to keep up with the community and share what's new :) Thanks especially to those who sent in articles, events, etc! As my interests evolve, I'm spending more and more time with tools that complement Ansible, but aren't directly related (Terraform, Docker, Monit, etc), so I'm thinking of expanding the scope of the newsletter to include sections on other excellent system tools. If I do this, the name would change from "Ansible Weekly" to something more broad and I'd have separate sections for the different tools. The 'Events' section rarely gets even a single click, so I'll likely discontinue that. I'd love to continue providing a useful newsletter, but need to evolve it so that it's worth the time investment every week. Fortunately, Ansible Inc has hired a ton of great folks this year and is providing more and more resources around Ansible events and announcements, so you can find those resources through them. Any helpful suggestions are welcome! I can't promise anything, but if there's a consensus towards a certain direction, I'll consider including it. My goal is to include only the most interesting and useful content, and I think this direction will help me do that better.